Stocks were mixed on Tuesday, Jan. 23, as investors turned their attention to corporate earnings after U.S. lawmakers ended a three-day government shutdown on Monday, Jan. 22. The Dow Jones Industrial Average closed a mercurial day in the red Tuesday while the Nasdaq and S&P 500 continued their record-setting pace. The Nasdaq gained 0.71%, or 52 points, to 7,460.29 while the S&P 500 rose 0.22%, or 6 points, to 2,839.15. The Dow meanwhile fell 0.01%, or 4 points, to 26,210.81. The leading gainers on the Dow were Travelers Cos. (TRV - Get Report) and General Electric Co. (GE - Get Report) . The blue-chip index's leading laggards were Johnson & Johnson (JNJ - Get Report) and Procter & Gamble Co. (PG - Get Report) . Travelers posted core earnings in the fourth quarter of $2.28 a share, beating estimates of $1.50 from analysts surveyed by FactSet. The stock rose 4.97%. General Electric, which closed trading up 4.5%, is scheduled to report fourth-quarter earnings on Wednesday, Jan. 24. Johnson & Johnson (JNJ - Get Report) reported fourth-quarter adjusted earnings of $1.74 a share, 2 cents above estimates. The stock fell 4.24% on Tuesday. Procter & Gamble Co. (PG - Get Report) earned $1.19 a share on an adjusted basis in its fiscal second quarter, topping forecasts, and said it expects fiscal 2018 adjusted per-share earnings growth of 5% to 8% vs. prior projections of 5% to 7%. P&G shares fell 3.12%. Shares of Netflix Inc. (NFLX - Get Report) jumped 9.9% to $250.21 on Tuesday after the streaming giant posted subscriber growth that again exceeded expectations. The company's market cap exceeded $100 billion for the first time. 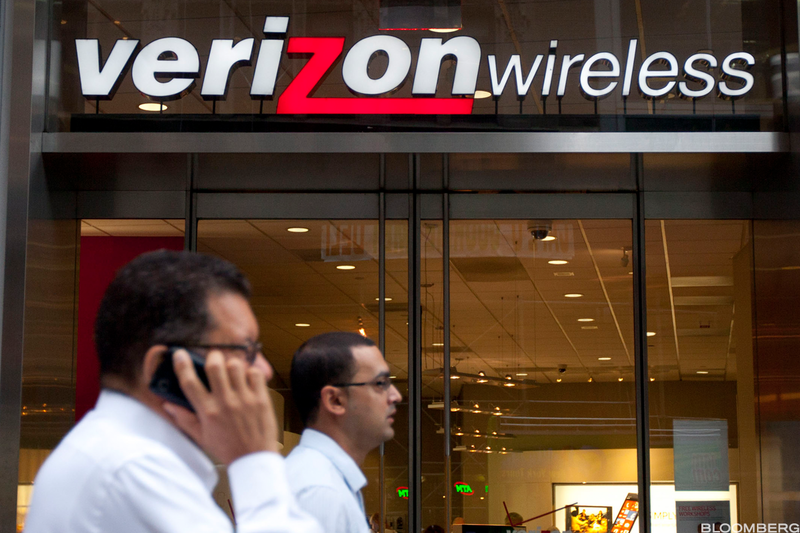 Verizon Communications Inc. (VZ - Get Report) fell 0.43% after posting fourth-quarter adjusted profit of 86 cents a share, missing forecasts by 2 cents. Revenue of $34 billion, however, topped Wall Street's estimates. Kimberly-Clark Corp. (KMB - Get Report) rose 0.7% after the maker of Huggies diapers and Kleenex tissues said it would slash roughly 13% of its global workforce. Along with the announcement of job cuts, the company said it earned $1.57 a share in the fourth quarter, 2 cents above estimates. Revenue of $4.58 billion came in slightly below consensus. Twitter Inc. (TWTR - Get Report) shares fell 2.27% after Chief Operating Officer Anthony Noto resigned to become CEO of lending start-up SoFi. Shares of U.S. washing machine maker Whirlpool Corp. (WHR - Get Report) rose 3.2% after the Trump administration said tariffs for large residential washing machines will start at up to 50% and phase out after three years. European stocks traded higher Tuesday while Asian equities ended the session Tuesday sharply to the upside.